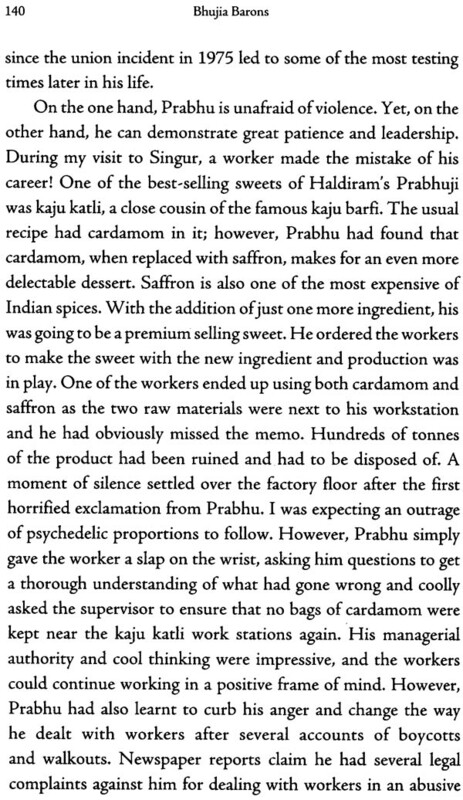 In the early twentieth century, a young man, Ganga Bhishan Agarwal, aka Haldiram, gained a reputation for making the best bhujia in town. Fast-Forward a century and the Haldiram’s empire has revenue much greater than that of McDonald’s and Domino’s combined. 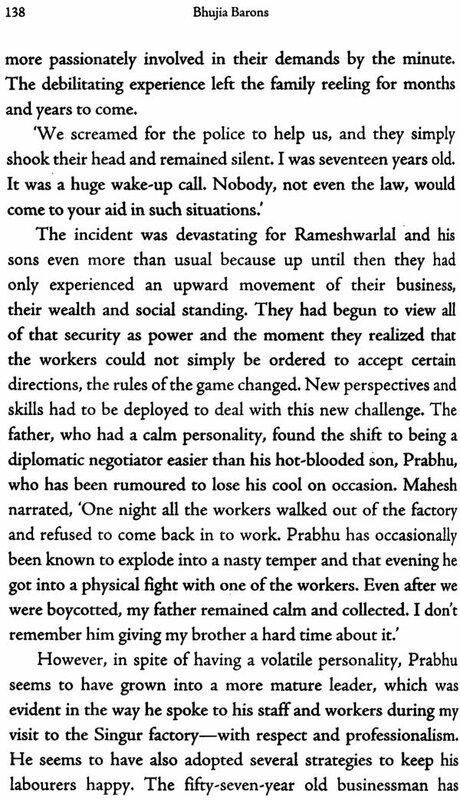 In Bhujia Barons, Parvitra Kumar tells the riveting story of the Agarwal family in its entirety- a feat never managed before. 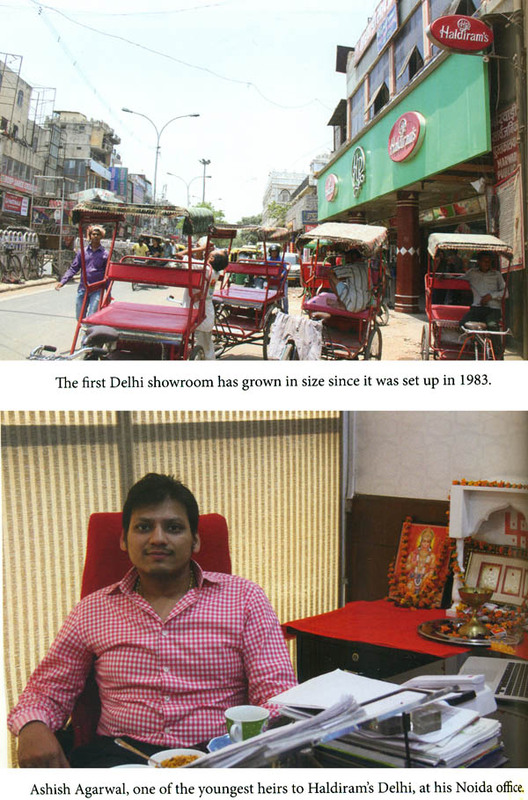 It begins in dusty, benign Bikaner and traces the rise and rise of this home-grown label, now one of the most- recognized Indian brands in the world. The Haldiram’s story is not an average business story-it’s chock-full of family drama, with court cases, jealousy-fuelled regional expansion, a decades-old trademark battle, and a closely guarded family secret of the famous bhujia. 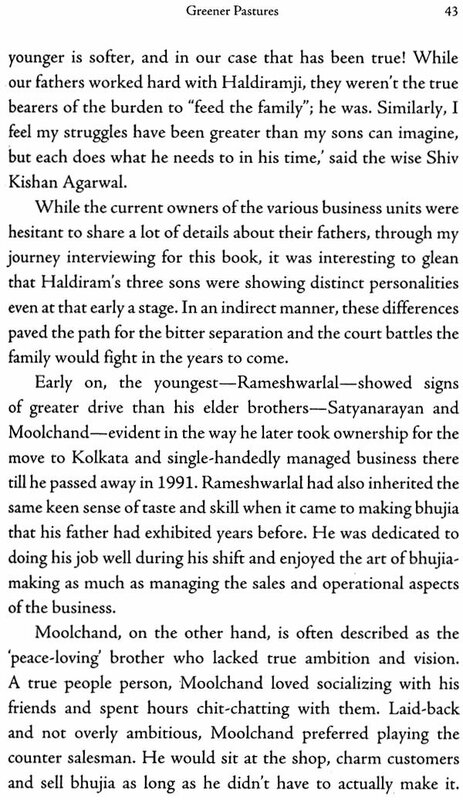 Fast-paced and captivating, this book provides a delicious look into family business dynamics and the Indian way of doing business. Pavitra Kumar was born in Deolali, Maharashtra, in 1985. An army officer’s daughter, she travelled across India from a young age and developed a keen appreciation of people and places. She completed her undergraduate degree in journalism from Delhi University in 2003 before a short stint with CNN-IBN in Delhi. In 2006, Pavitra went to London to pursue a career in marketing and worked for digital marketing agencies in management roles, spending much of her time liaising with the press and writing professional articles representing her firm. At the same time, her love for writing pushed her to freelance with the-nri.com. She completed her MBA from the Carlson Institute of Management in May 2016, and continues to pursue her love for business and passion for writing. Pavitra lives in Lakeville, Minnesota, with her husband, Dr Aditya Raghunathan, and mini goldendoodle, Lily. Trekking, swimming, reading and coffee keep her going when she isn’t writing. Since time immemorial, snacks and sweets have been integral to Indian culture. Hundreds and thousands of hawkers and small shopkeepers have sold fried, savoury snacks and sweets made from ghee in paper cones to children and adults alike in bazaars and street corners for as far back as history can take us. 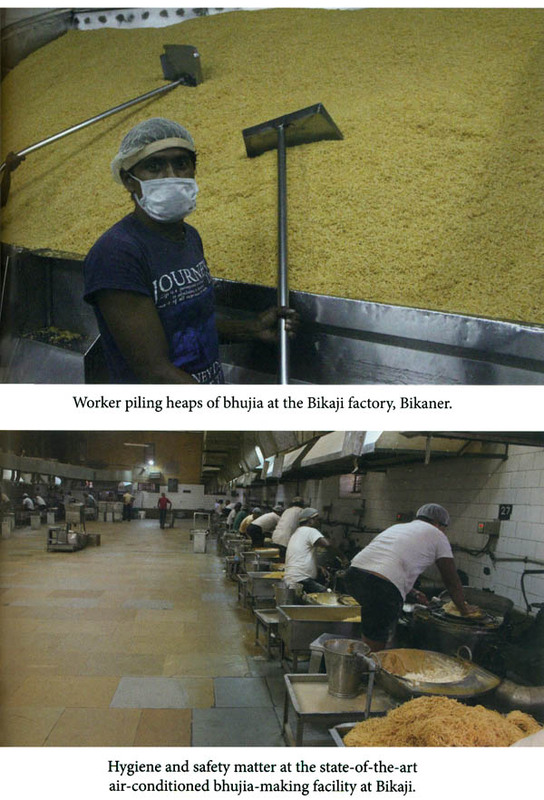 This is the story of one such family from a small town in Rajasthan that revolutionized the snack food industry through original and ancient recipes as well as innovative selling and marketing techniques. 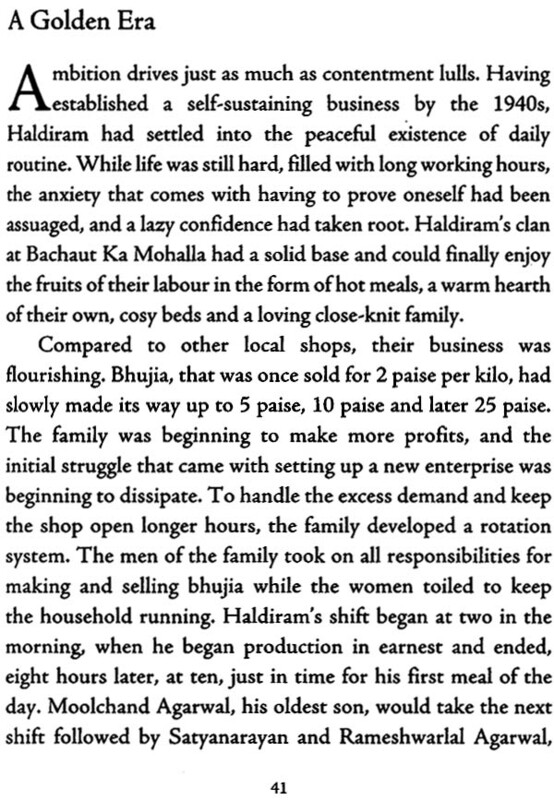 The Haldiram family business started when the patriarch Haldiram began making and selling a new snack-the bhujia we all know and love-to the locals in Bikaner in 1918. This family business has survived almost a hundred years of change and challenge to become one of India's most-loved packaged food brands today. Generations of the Haldiram family have stood by the family brand, each in their own way contributing to its growth, fame and notoriety. As with most family businesses, this too has seen its fair share of divisions over the years. 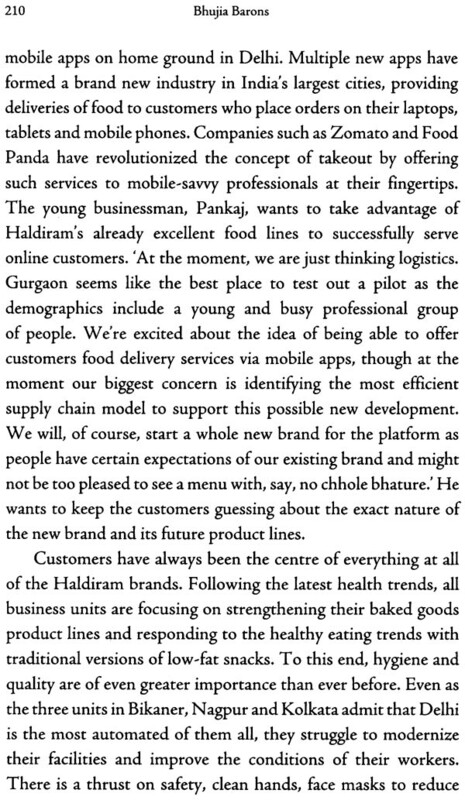 The brand name is currently used by three completely independent businesses run by Haldiram's grandsons, namely Haldiram's Nagpur in Nagpur; Haldiram Bhujiawala, Haldiram's Prabhuji and Haldiram in Kolkata; and the best-known Haldiram's in Delhi. 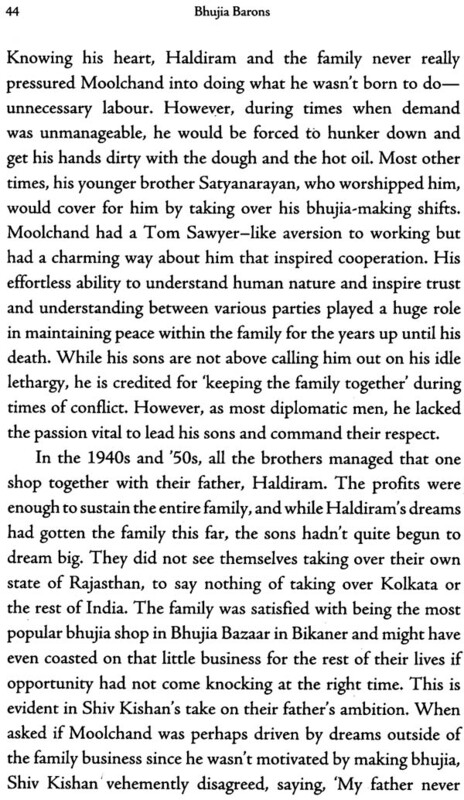 The Haldiram Agarwals are a bunch of very private men who hold their loved ones close to their hearts, and their secrets, closer still. 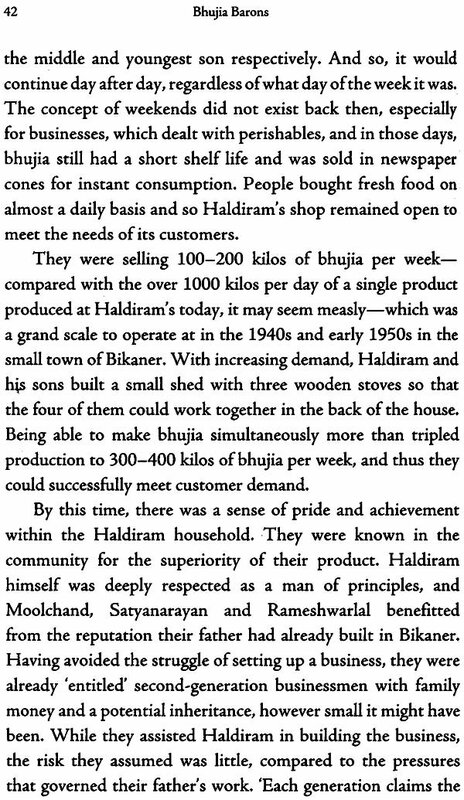 Potbellies, short physiques and twinkling eyes are not their only common features; they also share an identical, deeply ingrained drive to succeed-an ambition that has spanned a hundred years leading to this era where Haldiram is a name almost every Indian recognizes. These men rule their business empires with benevolence, humility and originality, while tightly holding the reins of all operations. 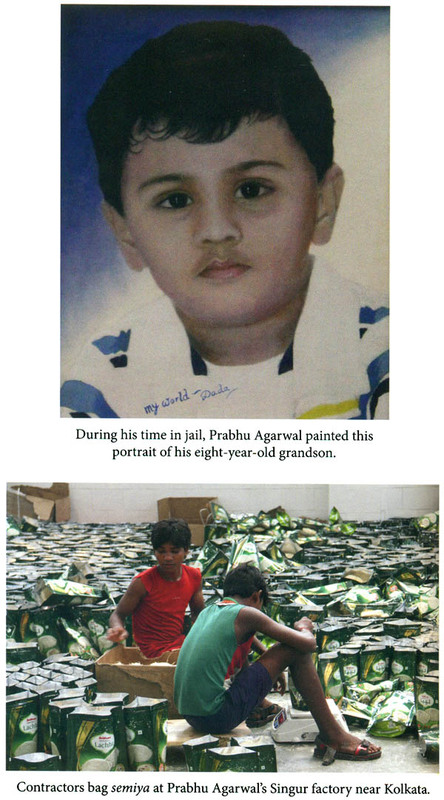 These Agarwals share a deep love for their business and products, and an even greater desire to leave behind a legacy, an impact on the world through the work they do. 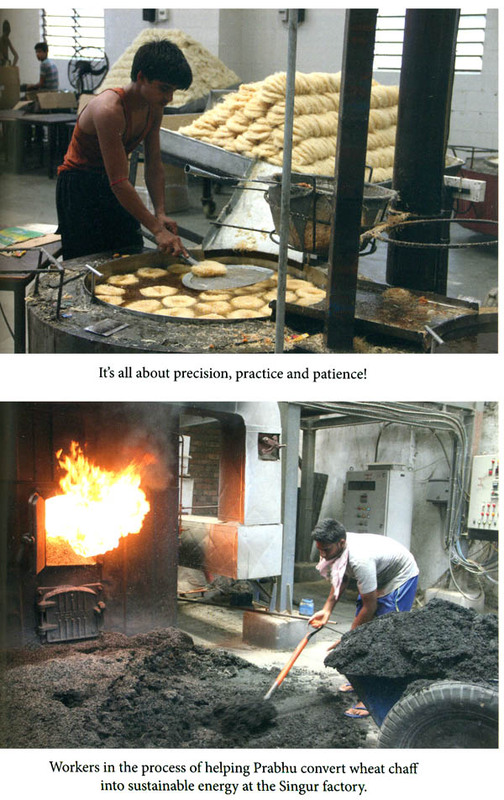 Nurtured by the traditional customs of Marwari culture, challenged by the disruption of modern technology and practices, they have continued to thrive to make Haldiram in all its names and forms a strong national and international player. Visionaries, they share a common desire to learn from their mistakes and stay one step ahead of the future. 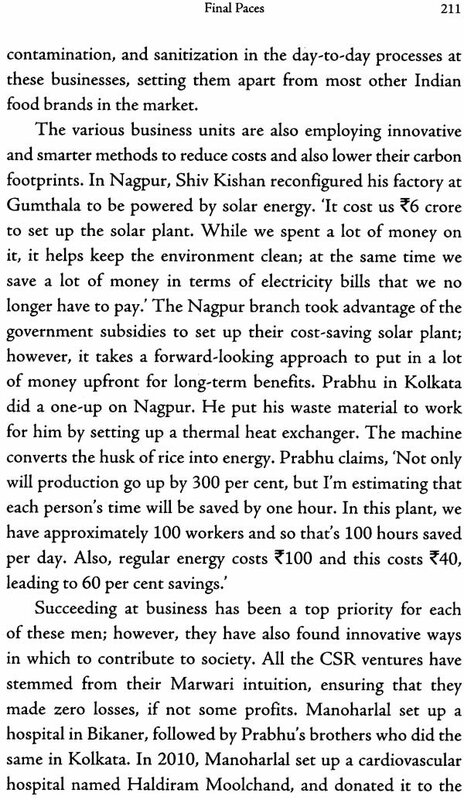 They have achieved this near-impossible feat multiple times, surprising the market with simple yet ingenious solutions to problems that nobody even knew existed. In their fearlessness, they have grasped ideas both good and bad, and taken a leap of faith-faith in themselves and their abilities-to set in motion huge tidal waves of change. It takes immense courage, creativity and sheer determination to rise from the dust in a small town in Rajasthan and become a brand that resonates with customers across the globe. Success never comes easy and this family has faced Herculean challenges in both their personal lives and in business to make it this far. 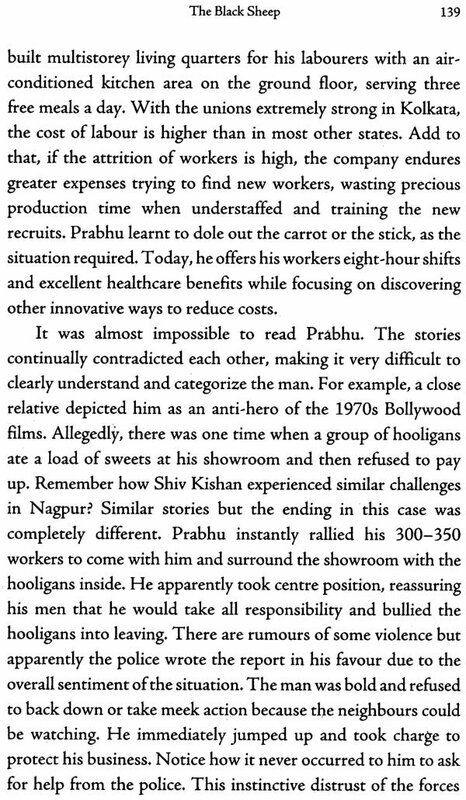 Their innate understanding of the customer's tastes, wants and aspirations, even at a time when surveys or focus groups were uncommon, helped them consistently fulfil desires and build an almost cult-like loyal following. This, along with their keen business sense, perhaps a genetic boon from their Marwari ancestry, or retrospective wisdom through experience, or possibly pure luck, have them firmly rooted as India's most-loved snacks and sweets brand. They are proud of their business achievements and eager to greet the future with more successes. However, they are also deeply devoted to their families. The distinction between a business decision and a familial one often blurs as they struggle to tread lightly on the razor edge of the tightrope between the two. Their successes have come at a price, and while they certainly enjoy their place in the sun, they too have had many a dark moment. Like Mario Puzo very aptly noted in The Godfather, 'Every family has bad memories,' this family certainly has a few old cupboards filled with pain, endurance, loss and disappointment. It is these very moments that test the mettle of a man and define character. It is also these moments that have shaped the history of this empire and differentiated one brother from another. They share the same genes, the same heritage and the same passion for bhujia, yet every day they strive to be different from one another and shine brighter in their own individual light. Possessive and territorial in a market where together they are leaders, they combat each other in a twenty-five-year-old battle in the courts of Delhi and Kolkata to carve out the bigger piece of their heritage for themselves. This is a complex family with many factions and loyalties, where at times blood and brotherhood are not synonymous. 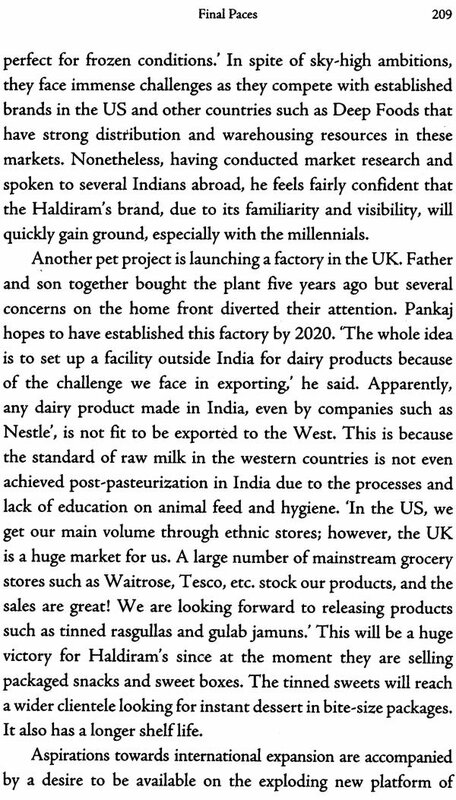 With tough competition on the horizon, a changing modern customer, modern operational issues, attacks on their brand from the US Food and Drug Administration, accusations of attempted murder and constant familial strife-these men have faced many tough trials that will lay the foundations for the next few chapters of not only their own history, but also the history of the Indian snack food industry. 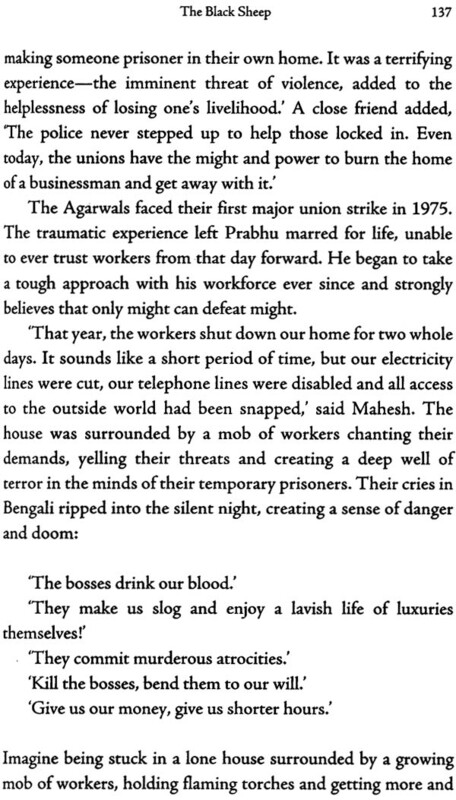 From their early start in the dusty streets of Bikaner, the adventurous foray into Bengal, Nagpur and Delhi, to the firm launch pad of international expansion, their struggle continued as they fought to define their brand inside the gritty walls of courthouses. This, then, is a story of these ordinary men who have achieved extraordinary feats.